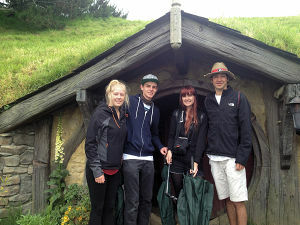 Chris: New Zealand is without a doubt the most amazing place I have ever been. 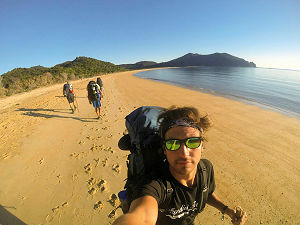 I followed my New Zealand trip after a trip to Thailand, as Thailand has always been my number one place I wanted to visit. But I was very disappointed by Thailand and I believe this is due to New Zealand being so incredible. Chris: It is a service that helps make the transition to New Zealand life much easier. 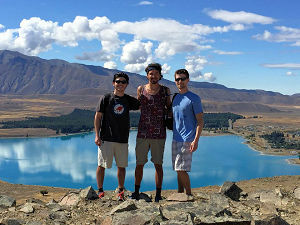 I travelled to New Zealand alone, without knowing anyone in New Zealand, and they helped make this transition an easy one for me. They make sure you have everything you need to be successful, while also answering any questions you have. Chris: I would say that they provided me with everything I needed and then some. Having them there to take me around Auckland on my arrival and help me with things such as a bank account, a cell phone number, and an IRD number made the process much easier for me. I would not have even known where to start without their help! What was the best thing they did for you? Chris: I think the mail holding had to be the thing that I found to be the most useful. I was constantly on the move and as a result I never had a permanent mailing address for my friends and family to send me letters and items I needed if it was not for them. On top of that, they would send me my mail to wherever I currently was so that I did not have to drive back to Auckland to get my mail. Chris: I cannot pick a best moment of the trip, but I can easily say that it was the best six months of my life. I will never forget the experience and I know that I will make it back to New Zealand one day. What was the best dollar you ever spent in New Zealand? Chris: The best dollar I ever spend was probably buying an air mattress for my car/tent. 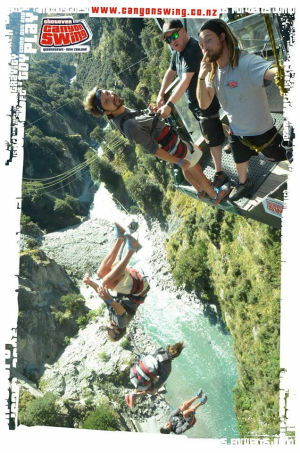 I did a lot of camping during my time there and having a good night’s rest was crucial for being able to enjoy many of the strenuous New Zealand activities, like hiking, swimming, jumping off of cliffs, and skydiving. Chris: I worked on an apple orchard as an apple thinner and also on several vineyards doing various jobs. Chris: Once I became comfortable with the atmosphere of hostels I loved them! 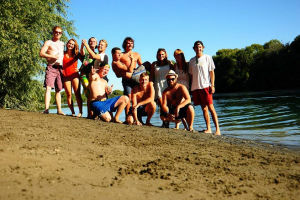 They are such a great way to meet people from all over the world who have some amazing stories and experiences of their own from travelling. Tell me about one person that you met who was memorable? Chris: I met a French couple (I know it is 2 people) during a WWOOFing stint that could barely speak any English at first. However, with time and some of my (and other people’s) help they became fluent in English before they left. This was such a cool thing for me to see, because I was able to see so much more of their personalities as they began to express themselves a little better. Chris: Get a good pair of shoes/sandals. One of the biggest things that I learned in my time in New Zealand is how little you actually need to be happy. There is so much extra clutter in my life that is not necessary, but in New Zealand this really becomes evident. The best things out there are not owned by anyone, they are some of the beautiful things provided by nature. Chris: It made me realise that happiness is not about what you have, but rather what you decide to do. Life, to me, is more about collecting memories and moments than it is possessions. I plan to continue to travel for the rest of my life and I think that no matter where I go it is going to be very difficult to top what New Zealand has to offer. Chris: Absolutely! I was more than satisfied with my decision to choose them. As a matter of fact, I have already recommended them to a friend of mine. I am so thankful to the entire team for making this trip one that I will never forget!